MIDDLETOWN, Ohio -- Local golfers have referred to Weatherwax Golf Course in Middletown as the "gem of the city." The 36-hole gem will close for good Nov. 6. The course, designed by renowned golf architect Arthur Hills, opened in 1971. The golf course has consistently ranked in Ohio as one of the top public courses, and Golf Digest ranked the 36-hole layout one of the top 100 public courses in the country in the 1990s. The city of Middletown sold the course to a Hamilton auctioneer company led by Myron Bowling for $1.6 million in 2014. Kraft has worked the last two years to save the course. He leased the course from Bowling to prove it is a viable business. Play has remained steady despite questions about the course's future the past two years. It has seen 50,000 rounds of play this year and 55,000 rounds last year, according to Kraft. The golf course will be turned into additional park space for nearby Sebald Park, making it the largest of Butler County’s MetroParks. The new park will be called the Elk Creek Metro Park. There will not be any golf once it becomes a park because of restrictions that come with the grant funds used to purchase the land. The new park will include twice the mileage of existing horse trails at Sebald and will host cross country and equestrian events. Connie and her brother, Larry, wanted to get a final round in Friday afternoon to remember the times spent on the course with their father. While many are sad to see the course go, others are still angry about the decision by the city of Middletown to sell it. The course has hosted the Ohio state high school regional golf tournament for boys and girls since the 1970s. Weatherwax has helped produce PGA professionals like Frank Lickliter and Mike McGee and LPGA professional Marianne Morris. McGee is the teaching professional at the course now. “All of the high school matches here is what I remember the most,” said former PGA golfer Mike McGee. The West Middletown native played on the course before playing golf for Ohio State University. McGee still holds a share of the record for the fewest putts during a PGA tour round at 18. Two-time PGA Tour winner Frank Lickliter played in several junior golf tournaments while growing up. LPGA players and Middletown natives Marianne Morris and Marty Dickerson played high school golf at Weatherwax. Morris won nearly $1 million in prize money on the LPGA with 18 career top-10 finishes. Most recently, LPGA professional and Golf Channel Big Break winner Carling Coffing grew up playing on the fairways of Weatherwax. Dickerson, Morris and Coffing all played their high school golf at Middletown High School. McGee starred at Madison while Lickliter played at Franklin High School. The closing of Weatherwax is another example of the state of golf in southwest Ohio lately. The course joins Western Row and Crooked Tree golf clubs in shutting down. Crooked Tree will become a housing development. The same for Vista Verde Golf course in Liberty Township and Hillview Golf Course in Green Township. 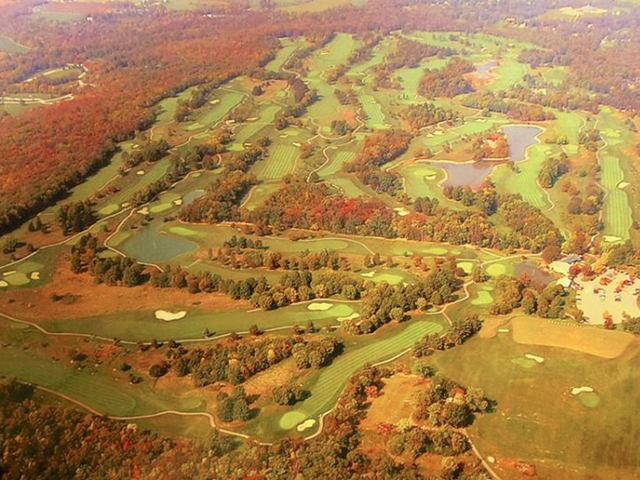 In 2006, Deerfield Township purchased the 100-acre Kingswood Golf Course for $8 million. The township operated the financially struggling golf course for a year before turning it into a public park while officials wait for the right developers. Many refer to the trend as converting fairways to driveways. 1969: Weatherwax is built on land purchased from W.W. Sebald to be used for a golf course and public park. A $75,000 donation by Bessie Weatherwax in honor of her husband was used to landscape the course. Funding for the course construction was through a 20-year bond that retired in 1995. 1972: The 36-hole course, designed by Arthur Hills, opened. Tour professional Tony Jacklin plays the first round. 1994: Golf Digest ranks Weatherwax the 75th best public course in America. 1996: The course earns a 4-star rating after a redesign of the course with an updated driving range, bunkers and fairways. The course is ranked in the top-10 public courses in Ohio. 2014: City of Middletown sells course for $1.6 million. 2015: MetroParks of Butler County announces its purchase of Weatherwax and plans to combine with Sebald Park. Rick McCrabb, of WCPO media partner the Journal-News, contributed to this report.